FedEx Corp. has joined the likes of UPS, PepsiCo, and Anheuser-Busch as the Tesla Semi’s latest customer. In a press release, the American multinational courier delivery services company announced that it had placed a reservation for 20 electric trucks from Tesla, as part of its initiative to push green technologies into its operations. 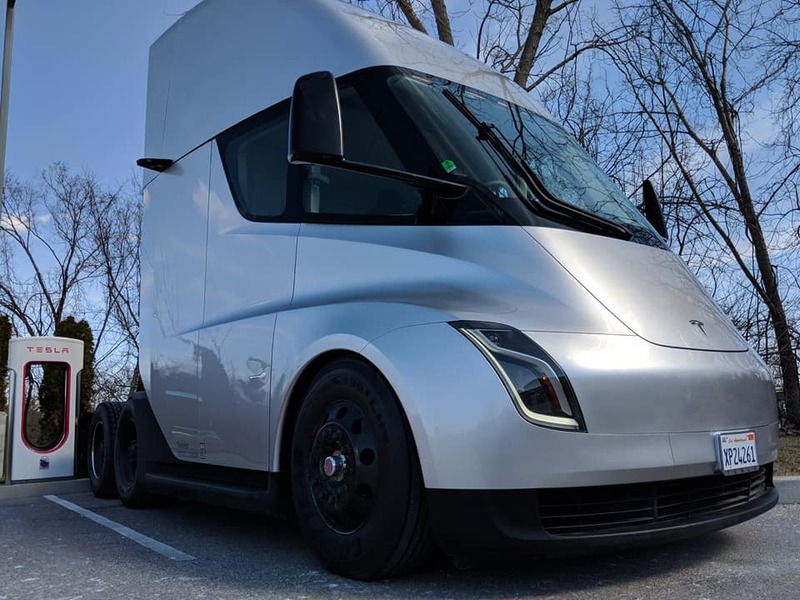 The press release, which was released Monday morning, noted that the 20 Tesla Semis would be deployed and operated by FedEx Freight, the company’s less-than-truckload (LTL) service, which covers the transportation of relatively small cargo. According to FedEx Freight president and CEO Mike Ducker, the company’s investment and commitment to the Tesla Semi stands as its latest statement on its continuing efforts to incorporate sustainability into its day-to-day systems. “FedEx has a long history of innovation and incorporating sustainability efforts throughout its global network. Our investment in these trucks is part of our commitment to improving road safety while also reducing our environmental impact,” the FedEx Freight CEO said. In the company’s press release about the purchase of the Class 8 electric trucks, FedEx asserted that it had been actively engaged in green initiatives for the past decade. According to FedEx, the company has saved approximately 158 million gallons of fuel since 2008, thanks to its adoption of vehicles that employ fuel cells, natural gas, hybrid engines, and electric drivetrains. The company also noted that it is in a continuous process to replace its legacy fleet with more efficient and environmentally friendly vehicles, such as the Tesla Semi. The Tesla Semi features four Model 3-derived electric motors, making it completely emissions-free. The instant torque provided by its electric motors also enables the long-hauler to pull its load with speeds that are far beyond the industry standard. During its unveiling, Tesla CEO Elon Musk announced that the Semi is capable of going from 0-60 mph while pulling a full 80,000 load in as little as 20 seconds. Without cargo, the electric truck is even faster, showing tire-shredding acceleration, as could be seen in a previous sighting of the vehicle. Over the past couple of weeks, Tesla appears to be deploying its long-range silver Semi prototype to some of its biggest reservation holders. Two weeks ago, the electric truck was spotted in Anheuser-Busch’s brewery in St. Louis, MO. The truck was parked in the brewery for a few hours, and was later seen parked at a Supercharger in St. Charles, roughly 24 miles away from the Anheuser-Busch facility. Last week, the Tesla Semi was spotted in a Dallas, TX Service Center, before being sighted at the Reunion Tower the following day, where Tesla and PepsiCo reportedly held a demo for the electric truck. Ryan O’Donnell, a member of the Tesla community who lives in the area, was able to enter the demo event, snapping some close-up pictures of the electric truck. O’Donnell also noted that a PepsiCo employee stated that the company’s 100 orders for the Tesla Semi were just a “drop in the bucket” for how many units the beverage and snack company is planning to order in the future.